“We are leaving the European Union, but we are not leaving Europe,” British Prime Minister Theresa May declared in her lengthy Brexit speech before heading to Washington, where she tried to secure Donald Trump’s support for the NATO Alliance he called “obsolete” only weeks before. Indeed, as Mrs. May sets out her plans for “a Global Britain” while paradoxically announcing that the UK would leave the world’s largest single market, i.e. 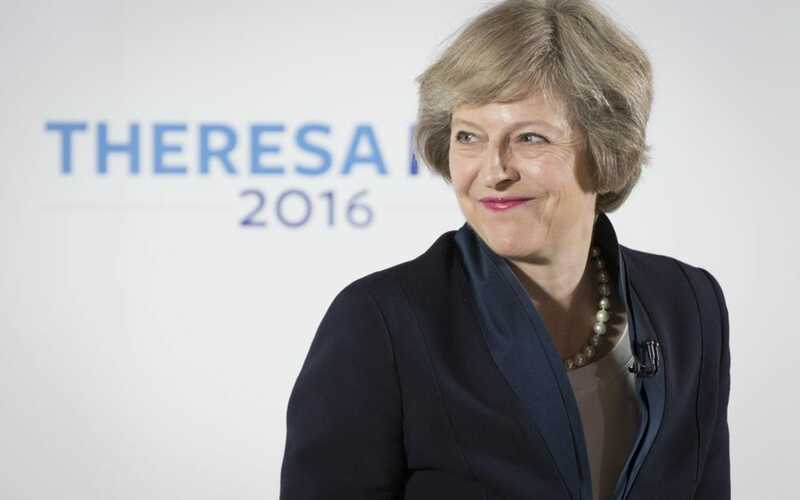 the European Union (EU), she emphasized her wish for continued UK-EU security cooperation. Coming to practical terms with such an agreement is both complex and unprecedented. The EU has signed ten Strategic Partnerships Agreements (SPA) with countries like Canada and Brazil. But negotiations for a similar SPA between the UK and EU will not involve deepening existing diplomatic ties, but loosening them— with profoundly negative implications for British foreign policy. As May’s early White House visit suggests, the UK remains resolutely committed to the North Atlantic Treaty Organization (NATO) even as it stumbles out of the EU. Other than the UK, 21 NATO states are also EU members, allowing Britain to retain multilateral military cooperation with its European allies even in a post-Brexit era. However, many foreign policy decisions are increasingly made at the EU-level. These include European sanctions against Russia for its invasion of Crimea, sanctions against Iran for its nuclear weapons program, and visa liberalization for Georgian citizens to incentivize that country towards greater democratization and political reform. The monthly meetings of the EU’s Foreign Affairs Council will soon function without the UK in the room. Britain will also lose its vote in the council meetings once Article 50 — Britain’s exit clause from the EU – is triggered on 29th March 2017. As such, major decisions regarding European security will likely be made in Paris or Berlin in the future. The question is the degree with which London will be consulted when its agreement is no longer required to carry an EU-level vote. The “Canada Model,” referring to the Comprehensive Economic and Trade Agreement (CETA) recently agreed to by both the EU and Canada following seven years of negotiations, is often cited as a potential template for a future EU-UK free trade deal. Similarly, the EU-Canada SPA gives us some clues as to what the future EU-UK security cooperation might look like. The EU-Canada SPA outlines common positions on Weapons of Mass Destruction, the International Criminal Court, counterterrorism, and other areas of declared mutual interests. It also establishes bilateral consultation mechanisms such as an annual EU-Canada Summit and Joint Ministerial Committee co-chaired by the Canadian Foreign Minister and EU High Representative. Unlike Canada however, the UK maintains the sixth-strongest military in the world, a permanent UN Security Council seat and, rather obviously, remains geographically part of Europe. Thus, EU-UK security cooperation will remain higher than the EU-Canada level. Months after the UK’s referendum decision to leave the EU, Prime Minister Theresa May followed in the footsteps of previous British prime ministers vowing to veto increased EU military cooperation. It’s a rather peculiar statement from May especially considering that she will lose that veto right as soon as Article 50 is triggered. For its part, the remaining EU-27 will maintain that any deal the UK receives post-Brexit will have to leave it worse off than if it was an EU member. “Whoever wishes to leave this family cannot expect to give up all its obligations while holding on to its privileges,” German Chancellor Angela Merkel declared before her Parliament shortly after the June referendum, receiving widespread applause. To achieve pragmatic security cooperation, the UK will have to accept an EU that makes decisions without it—including choices it may have vetoed had it still been a member. That may be difficult for a government that sees itself as implementing a referendum decision won on the basis of “taking back control”. On the continental side, one can expect increased influence from France, Spain, and Italy. Germany, as the EU’s reluctant leader, will be expected to increase its foreign policy leadership further yet. On security cooperation, the UK is likely to continue sharing intelligence with its European allies to thwart terrorist attacks, implying that Britain will retain membership in Europol. The UK has made the decision to opt into Europol even after Brexit, despite Denmark’s recent withdrawal from the agency. It would be unprecedented for a non-EU member to enjoy full Europol membership, but British withdrawal from Europol would be a setback for counterterrorism in Europe. One estimate holds that Britain is involved in sharing intelligence for nearly 40 percent of all cases that pass through Europol. Non-EU states also maintain liaison offices with Europol. The United States liaison office boasts around 20 officers, while it’s estimated that Norway enjoys roughly 80 percent of the agency’s membership benefits. Although not guaranteed, negotiations on internal security are less likely to descend into acrimony than other aspects of the Brexit talks. All this considered, Brexit is highly unlikely to make Europe safer. The UK is set to lose a major source of its global influence and it’s not clear yet exactly how the remaining EU-27 will step in to fill that vacuum. Common decision-making and even counterterrorism coordination are likely to be more difficult in the future. On foreign policy especially, Brexit negotiations will not be about creating a stronger security partnership, but about minimizing the damage from the current arrangements. Aaron Burnett is a current International Peace & Security MA student at King’s College London. He has previously interned with the European Commission’s Service for Foreign Policy Instruments, United Nations, and German Council on Foreign Relations. He also holds a Master in Public Policy from the Hertie School of Governance in Berlin and a Bachelor of Journalism. “Brexit: The Security Dilemma”. Dr. Charles Tannock, MEP, Conservatives in the European Parliament (ECR Group). February 2017.